Kanye West's recent Twitter activity has many social media users, including himself, speaking up about mental health. Unfortunately, Ariana Grande made a bad joke about Kanye's online feud with Drake, which the 41-year-old rapper interpreted as her attacking his mental health. Kanye tweeted out Ariana's message promoting her song "Imagine" along with Miley Cyrus' new cover of the Christmas classic "Happy XMas (War is Over)." Of course, Ari was just trying to be clever while countless memes and conversations were coming about from Kanye and Drake's feud. But Kanye took it personally, and although he clarified he has love for Ariana, he was hurt by what she said. The 25-year-old pop star was quick to apologize in a since-deleted tweet, and continued on Twitter about how she had made a mistake. 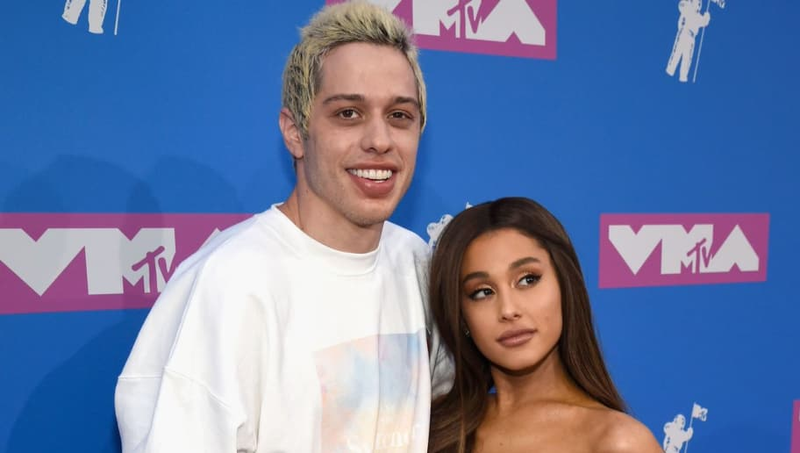 While Pete didn't name Ariana specifically, many are sure his post was directed at her. And his next post was extremely alarming. The 25-year-old comedian shared a message to his Instagram, reading, "I’m doing my best to stay here for you but i actually don’t know how much longer i can last. all i’ve ever tried to do was help people. just remember i told you so." Tons of celebrities flocked to social media to share their support with Pete, letting him know he's not alone. John Cryer took to Twitter to let everyone know that Pete was accounted for at the Saturday Night Live studio. Ariana then tweeted again, seemingly letting everyone know she was at 30 Rockefeller, where the SNL studio is. "I’m downstairs and I’m not going anywhere if you need anyone or anything. I know u have everyone u need and that’s not me, but i’m here too," she wrote in a since-deleted tweet. We're not sure if Ariana has spoken to Pete or if she's just there to make sure he's okay, but this just shows how important it is to consider one's mental health. At the end of the day, these celebrities are just people, and leaving nasty comments or bullying someone's emotional state will affect them just like anyone else. We hope everyone involved is okay.